Sunnyside Foot & Ankle...Foot care for all walks of life! Keeping you active and on your feet-that's our first priority at Sunnyside Foot and Ankle, your qualified podiatrists in Idaho Falls. The first step to healthy feet and improved foot function begins with a visit to your expert Idaho Falls podiatrist. Our website is designed with the belief that the more you understand about your foot health, the better we are able to serve you and your feet. As you navigate the site's pages, you will find valuable information about our practice, including hours of operation, directions to our Idaho Falls office, payment policies, staff bios and more. We hope that you will consult these pages whenever you have a question or concern about your foot and ankle health. We strive to improve your foot health by utilizing the latest treatment techniques and procedures. Walk into our office, and walk out with an improved foot health. Our Idaho Falls podiatrists look forward to caring for you! 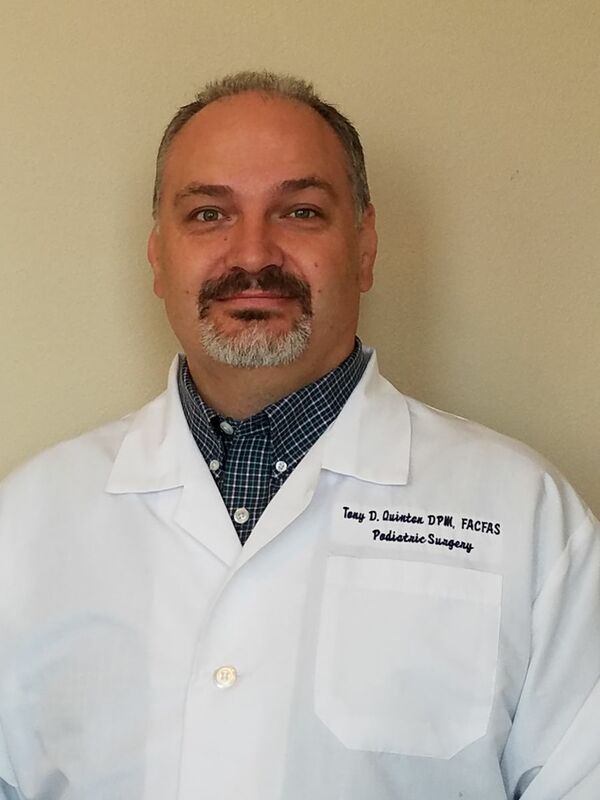 Born and raised in Idaho Falls, Dr. Quinton has strong ties to South East Idaho. After graduating from Idaho Falls High School he attended Ricks College and Brigham Young University in Provo studying Zoology.